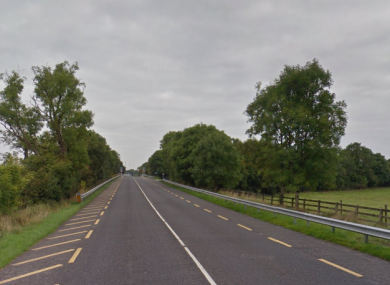 A MAN IN his 30s has died in a hit-and-run collision in Co Longford. The 32-year-old pedestrian was seriously injured when he was struck by a passing vehicle at around 11.45pm last night while walking on the N4 at Deerpark near Newtownforbes. The man was taken to the Midlands Regional Hospital where he was later pronounced dead. A man in his 20s, who is believed to be the driver of the car involved in the incident, has now come forward and is assisting gardaí with their investigation. A car has been recovered and is being examined by investigators. The scene of the incident has been preserved for examination by Garda Forensic Collision Investigators and local crime officers. Traffic diversions are in place and the road is expected to remain closed until later this evening. The body of the man has been removed to the mortuary at Tullamore Hospital where a post-mortem examination is expected to be carried out by the Deputy State Pathologist Linda Mulligan later today. Investigating gardaí are appealing for those with information, and in particular to motorists travelling on the N4 route from Newtownforbes to Roosky between 11pm and 12.30am who may have dashcam footage, to contact them. Anyone with information is asked to contact Longford Garda Station on 043 335 0570 or the Garda Confidential Line on 1800 666 111. Email “Gardaí appeal for witnesses after man in his 30s dies in hit-and-run collision in Longford ”. Feedback on “Gardaí appeal for witnesses after man in his 30s dies in hit-and-run collision in Longford ”.